I had breakfast at home; didn't bother taking a shower since I had one pretty late yesterday. I had NO sleep but wasn't that tired at first. 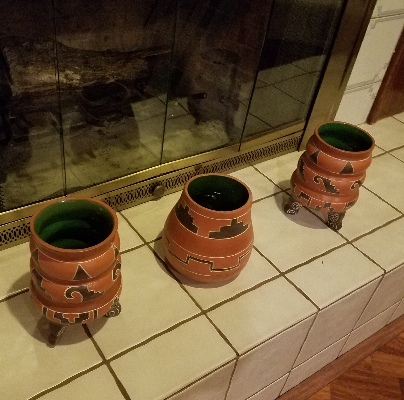 I think I forgot to mention this, but last night I put out the new decor I got: I put the new pots on the hearth. I haven't figured out yet where I want to put the pitcher. It was a weird day. We went in to the university around 7 am as usual. Beautiful weather. I'm walking to Reynolds as always, and I happened to look over at a nearby trashcan. A big, fat raccoon ran over to it and scampered up the side. 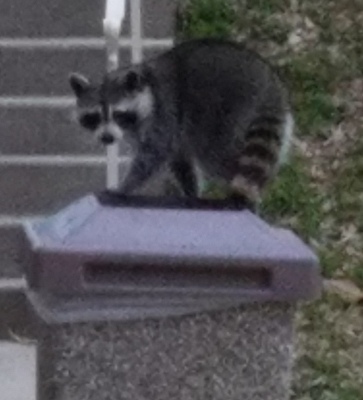 I rushed to get my phone out of my purse, but by the time I did, the raccoon was inside the trash can and his tail was sticking out, straight up! It was like a Disney cartoon. I stood there for a while to see if he came out again, and he did, so I took a few photos and also a short video. He was so cute! He probably lives in one of the nearby trees and just came down for breakfast. Now, if you see one in real life, don't approach it. They can have rabies. They're wild animals and can bite. I've seen a lot of wildlife since moving here, but this is the first raccoon I've seen. Then, turns out that campus police, or whomever is supposed to open the building, didn't, so we had to wait for a while for them to open the doors. I banged on the window a little, and waved my arms, hoping that the lady who runs the Mulerider Cafe would see or hear me, but she didn't. Eventually a tall guy came along and did the same, and she let us in. I just got a soda. Something I did (possibly typing too much) hurt my right arm due to my spine problem. My right wrist was throbbing. I had a hard time staying awake at the library. I had my voice lesson and it went well, despite all of my problems. I got to do another makeup lesson. Later, I went back to Reynolds to get another soda and then went to class. I had a really hard time staying awake. I got a message on Instagram, saying that they have stickers now, including some that say Happy Easter! However, that message disappeared, and I couldn't find it again anywhere. I found some references to it online, but they just say to click on the smiley face. I don't see a smiley face! Very annoying. I've been trying all week to figure it out. After a nap, I spent a lot of time tonight cleaning the house. Linda, the woman from care.com that will be giving me a ride to school and other places, is coming over tomorrow, so I wanted to make sure the place looks okay. I dusted and swept the living room. I had done some of that a few weeks ago, but it needed it again. I cleaned the kitchen and bathrooms, too. This is the last real cleaning I'm doing until we have our party! Then I'll get Yolanda to do it, right before the party. We had a lot of rain, thunder and lightning all night from about 8:30pm and for the next 12 hours! It was very loud. Fortunately, we didn't lose power. I woke up around 9 and finished straightening up the house. Linda got here about 10:15 because she had trouble finding our place (which is understandable) and was very apologetic. We sat down and discussed where she would be taking me, and when. I printed out a schedule for her, for the next three weeks. It went very well and she seems very nice, and smart. 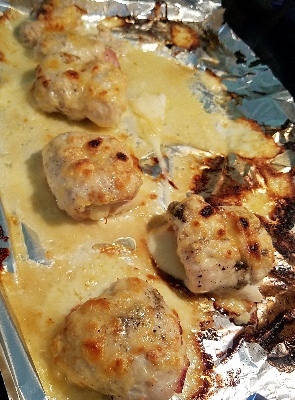 I cooked up these Chicken Ham and Cheese Rollups - I got the recipe from Martha Stewart's site. I want to make them for our party later in the month, so I tested them out first. They taste very good and are really easy to make. Yay! I had some for lunch and then went back to sleep for a while. During the afternoon, I happened to be walking by and saw that a big grey squirrel was scampering up to try to eat the birdseed. I took a few pics as it was so cute. It's my week for wildlife! It ran off and didn't eat any birdseed. I may have scared it off, or perhaps it was the birdseed itself. I got the kind that is spicy...supposed to be something birds like but squirrels don't. Later, I reheated some of the rollups in the microwave and also made the couscous that was in the recipe...I used corn instead of peas. The couscous we got had a flavor packet with it, so I used that as well. I can't eat it, but David said it was really good. I may not make couscous for the party...we'll see. I just did work on my site....it's what I do most days and nights! I'm very worried because I haven't heard back from Marcos, who hosts my site. He said he was very sick, but that was a month ago. I heard from him again later but...still no word from him since. A few of my domain names are messed up and he needs to get them fixed. I hope he's not dying....also because he's a very nice guy, of course. I tried to go to bed a little earlier, but it didn't work. I slept a lot this afternoon. She dropped me off where I told her to, which was the wrong place as it turned out...there's some construction going on behind Reynolds, so I had to go way around and behind the library. Next time I'll know better. It was warm today but drizzly. I just got a soda and some snacks at the book store. I should have eaten a healthy breakfast instead of sleeping. I was starving all through class. 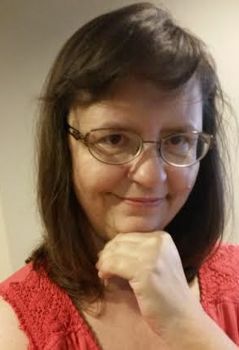 I had a nice chat back and forth all day with my friend Kathy via Messenger! My two classes went fine, other than being hungry. After class, I rushed down to drop off my laptop in David's office, then I ran over to get lunch and bring it home. He drove me home as usual. I went back to sleep after lunch. 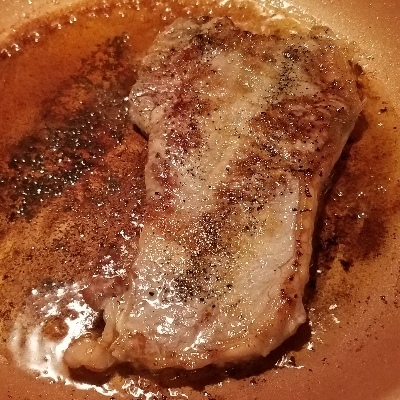 He had a work dinner, so I cooked myself up some steak. I seared it, just like the chicken last week, but I cooked it a little too long. It was pretty thin steak. I didn't burn it; it just wasn't as rare as I like it. It was still delicious and sure made the house smell great. I did work after that and watched TV. The usual! I figured out how to put a Sticker on an Instagram photo and then send it (you can only do it in DM), but then it didn't get through. I have no idea why. I tried researching it but found nothing. I went to bed pretty early, for me, around 1:30am. Amazingly, I slept through the night. Wow! But then I ruined it and slept very late. I had about 12 hours' sleep, in fact. Ah, well. I can't believe it's Thursday already. The time goes by so fast. I did very little today. I had "breakfast" about 2. Linda came by to get me around 2:30. First we went to the dollar store, which is right next to Wal-Mart. 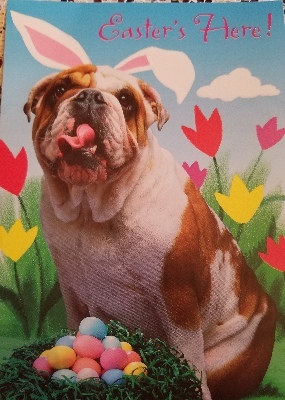 I got some Easter candy and some other stuff. They had ladybug wind chimes, so I got one for the backyard and one for my collection. 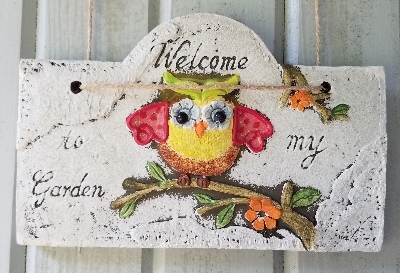 I also got a little stone plaque that says "Welcome to My Garden", with an owl on it. I didn't really see any other Easter-like stuff I wanted to get. Then she took me across to Wal-Mart. I bought a few things and picked up two prescriptions. I was sick from the gluten in both stores. Now I know that the dollar store has a restroom! :) These things are good to know. She also drove me through Wendy's. Now, fortunately, I went to the Wendy's web site beforehand to double-check what I can eat there. Turns out their fries are NOT gluten-free. I thought they were and have been eating them! I was probably thinking of Burger King. I get those two places mixed up. I was actually checking for the chicken, but it's not gluten-free at Wendy's, either. I just got a bacon cheeseburger and a soda. Too bad...their fries are really good. Now, later, I found an article that talks about the ingredients in all of the fast-food fries, and it says that Wendy's is just cooked in the same oil as other foods with bread. So it's possible that it would be safe, anyway. I don't usually worry about cross-contamination. I wish that all restaurants, when making their gluten-free menus, would say whether the products actually have gluten IN them or not. That would be helpful. I will have to get them again and test them out with my NIMA gluten-tester. After I got home, and ate, and relaxed, I put out the stuff I bought. I took photos of the backyard and looked around. I moved one of the hummingbird feeders to a different place. Hopefully the ants won't get to it there, but the hummingbirds will! I didn't do much else...probably because of not feeling well earlier. David had another work dinner, so he didn't come home until about 8:30. I realized later that the guy didn't come to mow the lawn. He was here two weeks ago, and I told him to come mow it every two weeks. He said he would put it on his calendar. Looks like I'll have to call him tomorrow. My brother David and I have been emailing back and forth...always great! I've been putting off the dishes for a while now...better go do them! I got sick again before bedtime...that wasn't fun. I went to bed pretty late and then didn't sleep very well. I got up at 8:55, just before the alarm went off (don't you hate that?). I was feeling very sluggish. I took a shower. My stomach felt a little bit nauseous, but it passed. I wanted to eat breakfast at home but didn't feel like a big heavy one. I just had two turkey sticks and one slice of gluten free toast. I barely had time to brush my teeth before Linda arrived. I was just moving too slow. Linda dropped me off at Brinson, which is a much better drop-off point than the one we did on Wednesday. I went to Reynolds as usual. I stopped at the post office to mail a few things, then got my soda. I went out the door without my sweater, and my arms were cold. It was nice outside, but Reynolds is very cold, for some reason. So I stopped at the bookstore and bought a sweater. It's one of those that's kind of like a sweatshirt, but nice, and it has a front zipper. I needed a new one, anyway. Then I went to my classes.... they were fine. I got my two mid-terms back and I got a perfect score on both! Yay! The professor pulled a joke on me. I had sort of teased him in one of the question answers, so when I asked about the grade a few weeks ago, he replied that he marked me down because of my answer on that question. I was a bit peeved because I thought that was a good answer! But a few points don't matter when I'm getting an A, so I didn't argue much. Then it turns out, he was just teasing me. He's got a great poker face. I had no idea! A few weeks ago, I had met with Hannah in the registrar's office about which classes I'll need to take in the future for my major. I don't have to take any "general studies" courses, but the Mass Comm/Mass Media major has a bunch of requirements, and I may not have to take a few. For instance, I already took a speech class, so I don't have to take that one. I may not have to take World Literature II, either. I'm waiting to hear back for sure on that one and if there are any others I get to skip. Time permitting, I hope to keep taking voice lessons, or choir, or some other "fun" class like art, besides the required courses. It was very hot today by the afternoon. In the 90's! We went to the grocery store. I wanted to get lamb chops, but Wal-mart has no lamb. I should have shopped around more, but I was too lazy. I just got some steaks instead. We drove through Burger King for lunch. We took the car to get the oil changed and the tires looked at. The tire light keeps coming on, but apparently the tires are fine. I just did work etc. We had a relaxing Saturday. 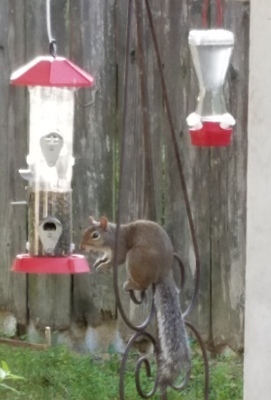 I noticed that two big squirrels were attacking my bird feeder, so I moved them. I took a few pictures of them first, though. My phone updated recently, and it's very irritating. I don't like the changes. For one thing, the predictive text is now all messed up. They highlight the most likely word in a lighter color, which is hard to see. The letters are also smaller, so it makes it even harder for me to press the right ones. Also, it's now "forgotten" all of the words I regularly use that it had remembered before. Now I have to re-train it. I hate that. I had a lot of work to do today. First, the usual work on my site. Then, making dinner. Lastly, writing a paper for one of my classes. It was a lot of work! 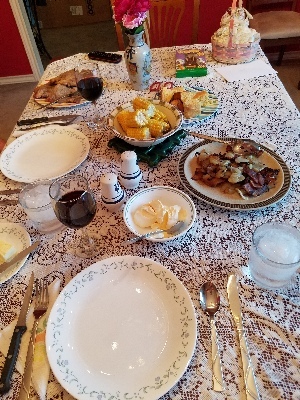 For Easter dinner, I made steaks, fried potatoes, corn bread and corn on the cob. I had planned on making asparagus or a salad, but I saw the corn on the cob and got that instead. David loves it. The cornbread was gluten free, from a package. The fried potatoes are like breakfast potatoes (home fries). I used to make them all the time when we were younger and thinner. Now we both mostly avoid potatoes. Since this was a special occasion, I got one very large russet potato and sliced it very thinly, then pan-fried it with sliced onions. It came out really good. Everything did. I don't cook t hat often any more, especially nothing too "fancy." I used our nicer plates and cutlery, and put a lace tablecloth out, and we had some nice wine with it. Very fancy for just the two of us :) For dessert, we shared a small chocolate Easter bunny. I wrote my paper on The Digital Divide . I had gathered a lot of links for sources beforehand. I just had to write the paper and then link the text to the sources. I really hate Word, so I wrote it in Frontpage and then copied it to Word. I couldn't remember if the professor said it was due tonight, or tomorrow night, so I wrote it tonight, just to make sure I get it in on time. I stayed up too late as usual.